I used to not like makeup sets before with products that are in way smaller sizes. I mean, how can I enjoy something when I'm so conscious about finishing it up quickly? And what if I like it, what am I going to do then? But now that I'm older, wiser, and more liquid (lol), I have seen the wisdom of buying sets and smaller sizes. Small tubes and bottles are great if you want to carry stuff around. It's not smart to bring full sizes of stuff in your bag because of the heat here - it can spoil/dry up makeup faster. Also, if you're like me who doesn't usually bring big bags, every bit of space is valuable real estate. That's not just applicable to when we're travelling y'know! 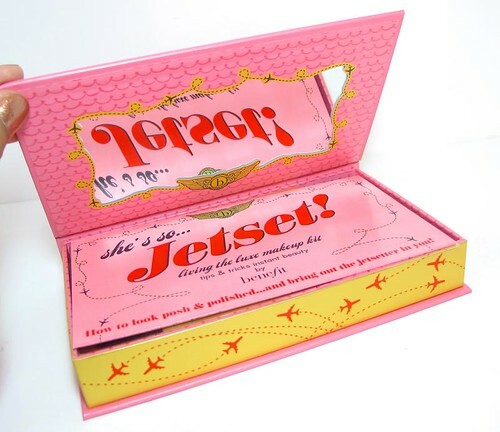 Thus, boxed sets like the Benefit She's So Jet Set (P2,100) is perfect if a.) You travel a lot b.) 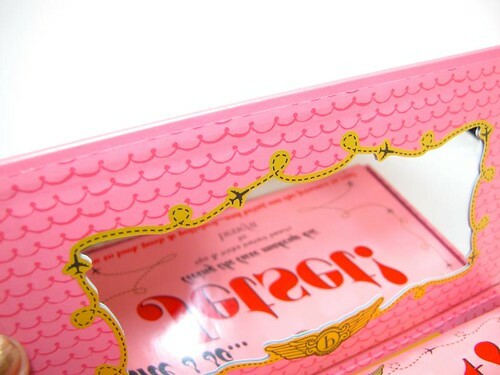 You want mini-sizes of your "Bene-faves" for your daily bag c.) If you have never tried Benefit before and would like to start now. This contains four lovely and pigmented eyeshadows, illuminating powder duo, mini Porefessional, They're Real Mascara, and lip gloss. 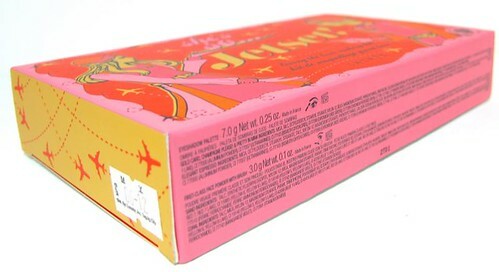 I understand that this is part of Benefit's limited edition holiday sets! Porefessional is Benefit's #1 product, while They're Real is the brand's best-selling mascara. The lip gloss is also remarkable - it's got the same texture as the Benefit Ultra Plush Lip Gloss which I reviewed earlier, meaning it's non-sticky, moisturizing, and lasts reasonably long on lips. I'm not a fan of the cool-toned shade of the Life of the A-List gloss, but it's nice on top of a lipstick. The eyeshadows are super pigmented and have an amazing, velvety finish. :D Call me a fan! 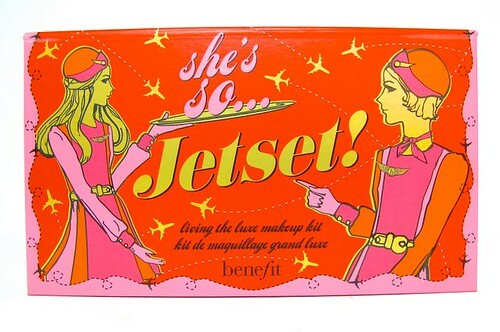 I should really look at Benefit's individual eyeshadows closely. 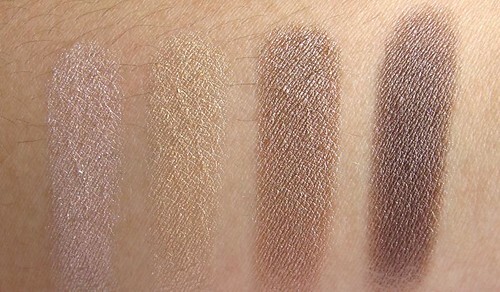 They're usually skipped over in favor of the brand's more popular products, but believe me these eyeshadows can give other brands a run for their money. 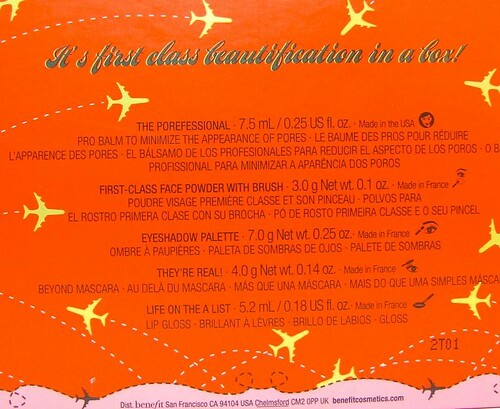 I was a little disappointed with the First-Class Face Powder. Well, initially. 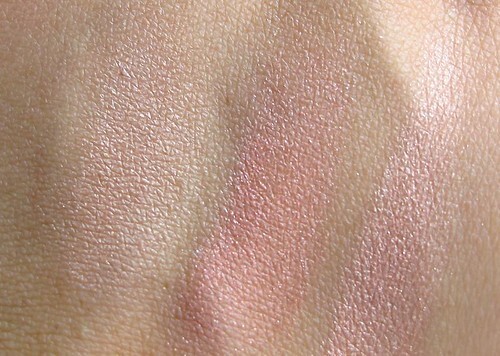 I keep insisting on using it as a blush, when it's more of a finishing powder to add a bit of glow to the skin. 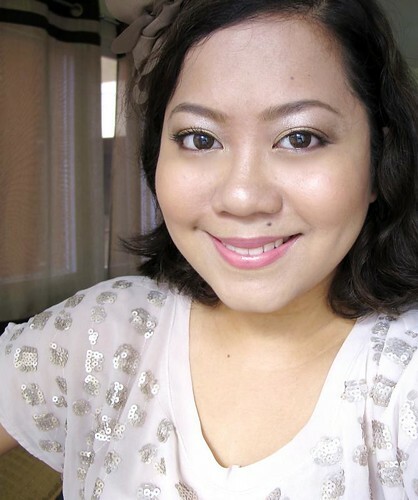 Nonetheless, it can be used as a blush provided that you don't mind putting on lotsa layers, like I did in this look. Here's a look I did using this set! Since Life on the A-List is too cool for me to be worn alone, I layered it on top of a pink lipstick. Much better! I have to mention the applicators that came with the set. 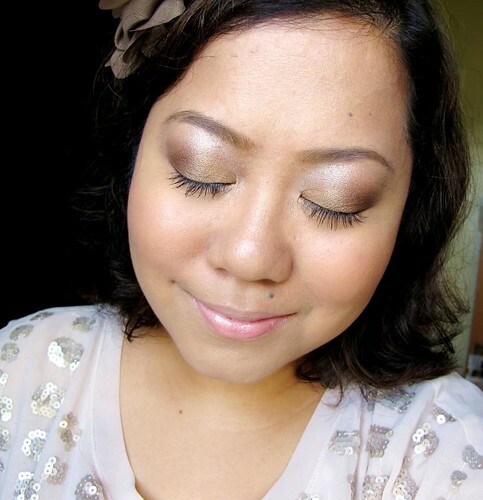 Unlike other "just because" applicators in sets, the eyeshadow sponge and powder brush actually *gasp* work well. The sponge and brush are both soft and dense. :) I would still prefer to use an eyeshadow/ full powder brush while I'm at home, but outside I don't mind dealing with small applicators. So there you go! 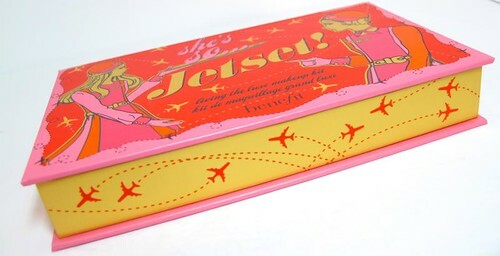 If you like how kooky and luxe Benefit She's So Jet Set is looking, do check it out at your fave Benefit counter. :) Oh and hurry because this comes in limited quantities only, seeing as it's part of a holiday collection. 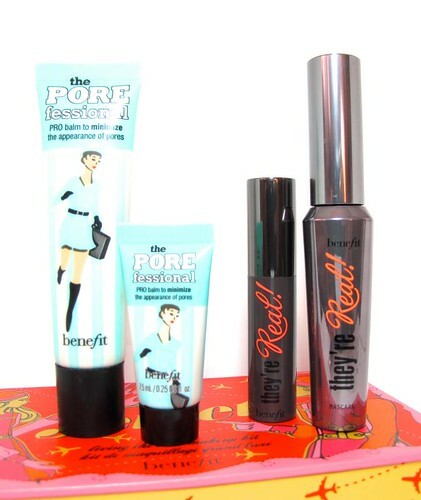 You can follow Benefit on Facebook, and find them in Greenbelt 5, Rustans Shangri-La and Makati.